Unlike most programming companies in China, Makeblock, which was established in 2011, chose an unusual path from the beginning: it first worked hard in overseas markets, and then returned in 2016 when the policies were favorable. Makeblock held its Media Communication conference on March 19, 2019. The founder and CEO of the company, Jasen WANG (WANG Jianjun, 王建军), revealed the introduction of three new products his company will be selling. Makeblock has raised a total of USD 79.9 million in funding over 7 rounds. At the end of August 2018, Makeblock announced the latest funding of USD 300 million financing C round, valuing the company at USD 2.5 billion, topping the list of the STEAM-based education companies. Then, in October 2018, Makeblock announced the launch of the Chinese brand name "童心制物". The change from "Makeblock" to "童心制物" was not a simple change of name, but also a determination to open up the domestic market. Unlike most programming education companies in China, Makeblock, which was established in 2011, chose an unusual path from the beginning: it first worked hard in overseas markets, and then returned in 2016 when the policies were favorable. Jasen WANG believes that companies should first carry out a rich product layout, build a course content system, and select products from the collection according to the course content. He does not believe that the level of teachers teaching programming knowledge must be higher than that of students. He is more concerned with the teacher's guiding ability. WANG said "Teachers provide professional technical guidance. As for creation, it is the student's own business." In 2011, Jasen WANG decided to start a business. Considering that the domestic robot education field was ridiculous at the time, and the European and American markets were alive, he decided to return back to China, starting with the overseas market and then returning at an appropriate time. A total of CNY 7.4 billion was invested in STEAM education in the first half of this year, accounting for 28.9% of total investment in the online education industry, according to a report by market research consultancy Big-Data-Research. According to iResearch's research report, the current market for children's programming industry is between 3 billion and 4 billion. It is still not enough for the 60 billion scales of the English training industry for young children. Nationally, the penetration rate of the children's programming industry is only about 1.5%. Sectors including language, K12, early education, and professional training are some of the other popular areas that investors are looking on favorably. Emerging areas will be the first priority for investors, he said, adding that industries, where technologies are bringing a lower work burden for humans, will be a good direction for investment. Back in 2011, STEAM was not a much "profitable market". Jasen WANG saw it very clearly, “There is no money, no one, and the only thing is the product." He chose to start with Genesis, an online educational non-profit store, and after getting a small batch of endorsements in late 2012 and early 2013, Mr. Wang launched crowdfunding on Kickstarter, a crowdfunding platform set up in April 2009 in New York, U.S., to raise funds for companies with creative solutions. Fortunately, as the first hardware project in the country to do crowdfunding, Mr. WANG achieved a good result by raising USD 185,000, nearly CNY 1 million. The chain reaction of this result was that foreign channel operators saw Makeblock’s products in Kickstarter and in media reports, Jasen WANG said it with pride that “They emailed us to be our agent, and as soon as the word spread, there were more agents”. As a result, Makeblock has access to foreign primary and secondary schools through channels, and has so far entered more than 140 countries around the world, more than 20,000 schools have more than 1,600 channel partners, including international companies such as Microsoft and Softbank C&S, and have subsidiaries in Japan, the United States, the Netherlands, and Hong Kong, China. 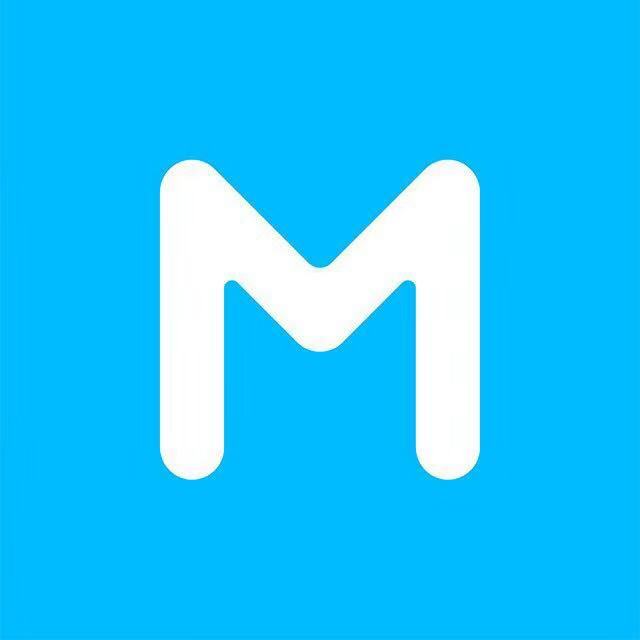 Over 4.5 million people are using Makeblock to learn coding and robotics. To date, Makeblock has taken 45 percent to 50 percent of the market share in the secondary schools in France. In 2016, Makeblock established a strategic partnership with Softbank and opened a new office in Japan. Makeblock also has offices in Europe, the United States and HongKong, China. In 2017, Makeblock successfully raised CNY 200 million in series B round of funding. Despite the rapid development overseas, Jasen WANG never forgot the domestic market. Especially in 2016/2017, the country turned its attention to this field and successively introduced relevant support policies. The market for STEAM has taken a positive turn. A fertile ground for people to compete. WANG realized that and made his mind to return to China. As for the domestic market, WANG chose to start by forming a sales team as the products are ready. This coincides with his insistence on doing research on the products in the early years and experience of working in the foreign market. However, in detail, there are differences between the domestic market and foreign market. First of all, the foreign penetration rate is high, and the budget is limited, whereas in the domestic market penetration rate is low, and schools with favorable policies have relatively large budgets. “For example, the thousands of schools we have cooperated with abroad, the budget of each school is not particularly large, but the popularity is very wide. But once the school has policy support from the country it will be relatively generous with the budget." In addition, product preferences vary. "The best-selling products abroad are mBot series products, the global cumulative sales of nearly 1 million units. For the domestic market, we prefer to build labs, so we sell most of the suits in the Genesis space." In China, it is basically the school that pays the bill, and students pay less. Makeblock products are mainly available on Taobao, Jingdong, Amazon's stores, offline agents are docked to airport stores, relatively high-end bookstores. From the current revenue perspective, the main source is still the foreign market, accounting for about 60%, but this year Makeblock will increase investment in the domestic market. In 2014, there were children's programming projects getting financing. In 2016, the number of programming tracks increased significantly, and 13 projects were financed. The number of financing projects increased by 19 at the end of 2017. By 2018, children's programming has ushered in a full-scale explosion. What is STEAM education and what value does it hold in the future? This is an initiative that is being accepted on an increasing scale by institutions, corporations, and education and tech professionals. The US Department of Education reports that the number of STEM/STEAM jobs in the United States will grow by 14% from 2010 to 2020, growth that the BLS terns as “much faster “ than the national average of 5-8 % across all job sectors. Computer programming and IT jobs top the list of the hardest to fill jobs, according to a study done by McKinsey in 2016. Despite this, the most popular college majors are not STEAM related. China needs to learn from STEAM education in order to improve the literacy of its citizens. With the integration of Chinese culture, STEAM education could help China reform and transform the dilemma regarding its innovative talents. In an effort to integrate STEAM education with Chinese culture, many Chinese scholars have conducted a lot of research and exploration. Since the introduction of STEM education in China in 2007, after more than 10 years of research and practice, its connotation has been continuously enriched and interpreted, and it has gradually evolved into STEM+ and STEAM education, which are suitable for China’s national conditions. Although some achievements have been made and a certain foundation has been laid, it is even more difficult to relax. It is necessary to clearly understand the shortcomings in the current STEAM education in China, and clarify the future development direction of STEAM education. China is also actively responding to the future process, and in 2015, the country introduced the first 10-year action plan “Made in China 2025” on the implementation of the strategy of manufacturing a strong country. At the same time, it can be seen from the statistics of the growth rate of China mobile internet users that with the rapid development of artificial intelligence technology, the way of human survival has begun to move from network to intelligence. Through statistical analysis based on market data, it can be clearly seen that in the face of the rapid advancement of the sustainable development process in the future, China urgently needs a large number of composite talents with knowledge in science, engineering, art, mathematics, and other multidisciplinary fields to join the national construction . Nowadays, the demand for single-skilled talents such as skilled workers in the first industrial revolution and electrical automation in the second industrial revolution has gradually decreased. “We set this goal first, then decompose it into three areas of mechanics, electronics, and software, and then look at what machinery, electronics, and software are going to do,” said Jasen WANG the founder and CEO of Makeblock. WANG’s important products are the entry-level STEAM educational robots launched by the company; mBot series and mBlock 5 programming software. These two products have laid a good foundation in Makeblock’s education field. Another Makeblock product that made it huge in 2018 is the laser cutting machine. It is different from mainstream 3D printers. It is fast and efficient, best fit for the classroom. A tool suitable for educating creators. In evaluating an educational product, WANG values the user experience of the product. Taking the MotionBlock as an example, it has more than a dozen forms, way more playful than humanoid robots, and will continue to add modules. Old users only need to buy new modules to continue using. WANG said that in 2019, the Makeblock products will take the family scene as the breakthrough point to strengthen the toC business, and continue to penetrate STEAM education into schools. Showing his commitment to the establishment of a complete STEAM education ecosystem. STEAM education is roughly divided into two paths, one being the product and the other course. From the curriculum of traditional education, the core is the ability of teaching and research. "But the logic in STEAM education is different. Good content has to be based on good products. If your products are not good, you can't make good content. Problems have to be resolved in a sequence of priorities. So we have to solve the hardware and software problems of the infrastructure first, and then do the content," WANG said. Jasen WANG believes that his product line already has the ability to compete with its peers. A rich product system will give them the flexibility to take courses that they can choose from. In the construction of the content system, Makeblock has adopted a step-by-step approach to developing courses from kindergarten to junior high school. In the education and teaching system, WANG revealed that they would refer to the CSTA (Computer Science Teachers Association) standards in the United States, NGSS (New Generation Science Education Standards), or another system that emphasizes hands-on ability. 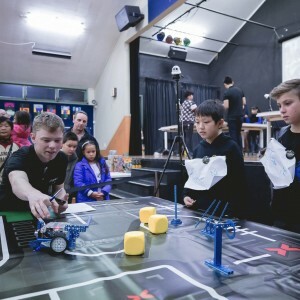 In addition, in the design of PBL (project based learning) like projects, Makeblock hopes to cultivate children's ability and creativity to solve problems. According to Jasen WANG, Makeblock course development progress has reached 60%, both independent research and development, as well as cooperation with some of the system's experts. In addition, Makeblock Products are seeking cooperation with a number of high-end institutions, including cooperative curriculum development, teacher training, etc. The entire teaching and research team compromises 12 members, and the entire company has about 500 employees. In the future, Makeblock Products will provide more product portfolios for families through brand upgrades and operational enhancements, and continue to improve STEAM education. Its neuron explorer kit has also recently entered the global online and offline retail stores of Apple. More C-end users lower the barrier to creation. Makeblock provides a do-it-yourself (DIY) robotics construction and programming learning platform designed to develop modular and programmable starter drone.